DHN is the leading DH organization in the Nordic and Baltic countries that brings together researchers, practitioners, and students of digital humanities. It strengthens research, education, and communication in the field of Digital Humanities, coordinates and disseminates information about activities that take place in the surrounding area. DHN organise annual conferences, workshops, summer schools and more generally tends to promote cooperation across disciplines, between the academic and the political worlds, and raise the awareness of the significance of Digital Humanities. 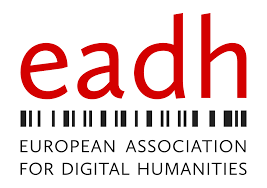 DHN is an associated organisation to the European Association for Digital Humanities (EADH). CLARIN is a research infrastructure that was initiated from the vision that all digital language resources and tools from all over Europe and beyond are accessible through a single sign-on online environment for the support of researchers in the humanities and social sciences. Currently, CLARIN provides easy and sustainable access to digital language data (in written, spoken, or multimodal form) for scholars in the social sciences and humanities, and beyond. CLARIN also offers advanced tools to discover, explore, exploit, annotate, analyse or combine such data sets, wherever they are located. ELRC Network manages, maintains and coordinates the relevant language resources in all official languages of the EU and CEF associated countries. These activities will help to improve the quality, coverage and performance of automated translation solutions in the context of current and future CEF digital services.